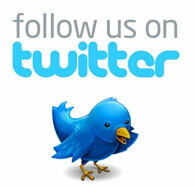 At Expo Direct™ we deliver events, your way. 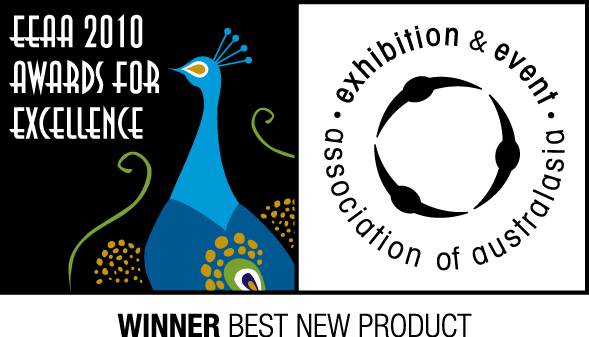 This is why Expo Direct has been awarded The Most Preferred Service in Australia and Asia Pacific, Winner & Finalist of the EEAA Awards for Excellence & Spice Magazine -Top 5 Expo Builders in Australia & Best Hire Company in Australia! Working with event organisers, contractors and exhibitors, we are a flexible service that serves as a one stop shop and are happy to mix and match our services to your satisfaction and we work hard to be your event partner, not just a supplier. 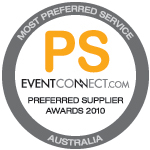 Our aim is to provide a seamless service that supports event organisers in achieving great results on the event floor. We delight in delivering the highest quality goods to our customers and our passion for pushing the existing boundaries of design grows with each new challenge. Most importantly we don’t see our core business as a rental or service company. We are a true partner in helping companies large and small achieve their business goals through effective trade show activities. You can be sure that we are always at the cutting edge of what is possible, ready to offer great advice and back it up with the ability to deliver your brief. We believe that sourcing the perfect exhibition partner should be both affordable and hassle free. 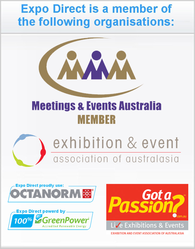 Expo Direct™ specialise in developing the most functional, flexible and eye catching exhibition solutions at fair prices that any event organisers can afford. Our experienced management team is driven by a passion for quality, creativity and technical excellence. The Executive Manager handling your account will have over five years experience designing and delivering the full range of exhibition solutions that are available. He/She will be your single point of contact from the first meeting until the event ends. Construction is handled by a team of qualified and experienced trades-people, not backpackers. From carpenters to electricians, Flooring to shell scheme, Registration counter to signage and labourers, our staff all love what they do. This ensures an organised, seamless drop-in and break down; providing the peace of mind that allows you to focus on your customers not your suppliers. Our in-house team of experts in providing shell scheme exhibitions, will be happy to assist you with your next event so please feel free to drop us an email or Call us on 1300 EXPO DIRECT (1300 397 634).